Children firing catapults at gulls in Sussex are the latest in a long line of offenders mistreating birds according to a wildlife charity. Chris Riddington, duty rescue co-ordinator for WRAS, attended the incident near Hailsham Parish Church. The animal rescue team said some members were in tears after the gull, which suffered serious blood loss and a large fracture, was put down at St Anne’s Veterinary Surgery in Eastbourne. The wildlife charity has voiced concerns at the growing number of incidents involving unpleasant treatment of wildlife across the county, which have included stones being hurled at goslings, food thrown into the road causing birds to be hit by vehicles, and a dying gull dumped in a waste bin. “To intentionally kill or injure a bird is illegal under the Wildlife and Countryside Act,” said Chris. Since November 2016 there have been three reported incidents of bird cruelty involving catapults in Hailsham, accordng to WRAS. 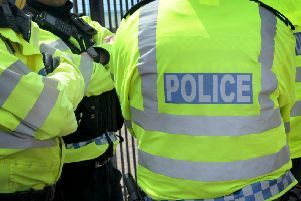 It is urging anyone who witnesses such an act of cruelty to contact Sussex Police, dialling 999 or 101.